If there could be just one single photograph to depict a Greek Island it should definitely be Naoussa of Paros. 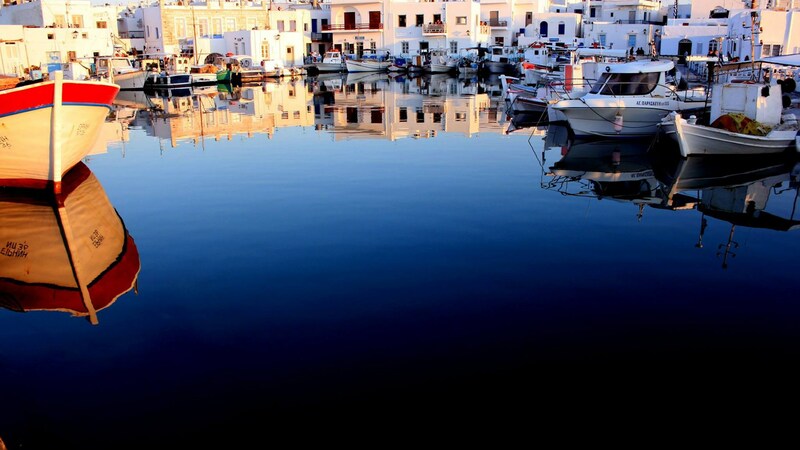 Picturesque Naoussa is probably the most famous and cosmopolitan destination in Paros, it's a truly genuine Greek gem. White washed houses with blue doors and windows spread along the little fishing harbour of Naoussa creating an amazing atmosphere. A beautiful labyrinth of tiny paved streets with the white stripes that is spread at the back of the harbour creates a unique ambient atmosphere especially at night time when the high end restaurants and bars are open. Naoussa of Paros is a living walk-in Greek postcard, a little piece of paradise, which will stay with you forever.